June 28, 2013 By This post may contain affiliate links. 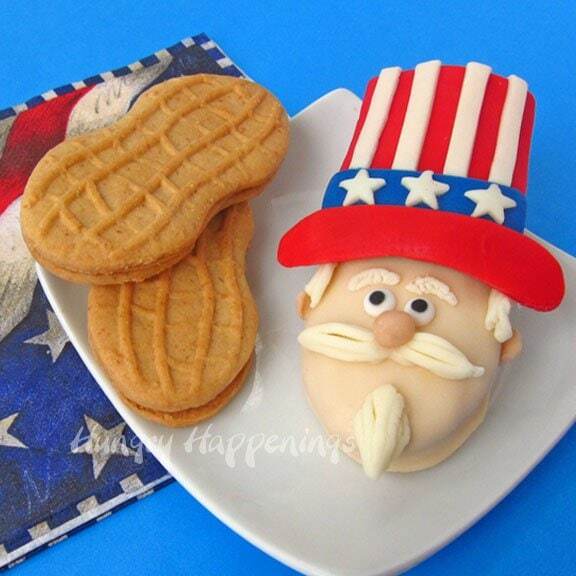 Pay tribute to America this 4th of July by decorating some of these patriotic Uncle Sam Nutter Butter Cookies. 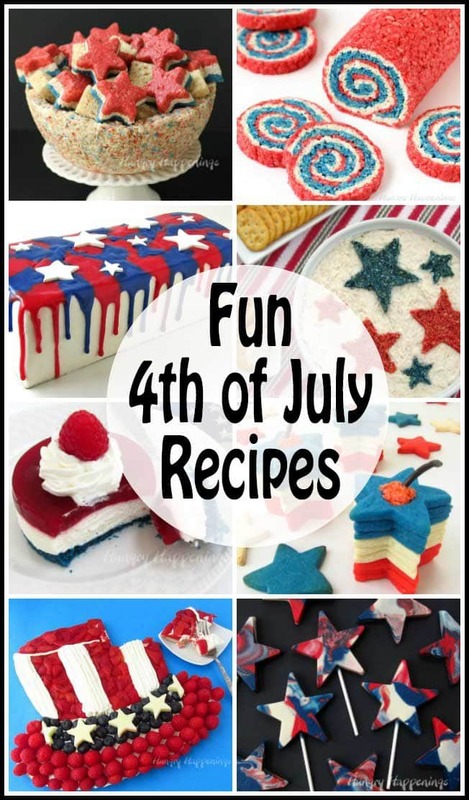 These cute treats will be a get as many “oohs and ahhs” as the independence day fireworks. There back! I’m talking about Nutter Butters. I can’t help myself. 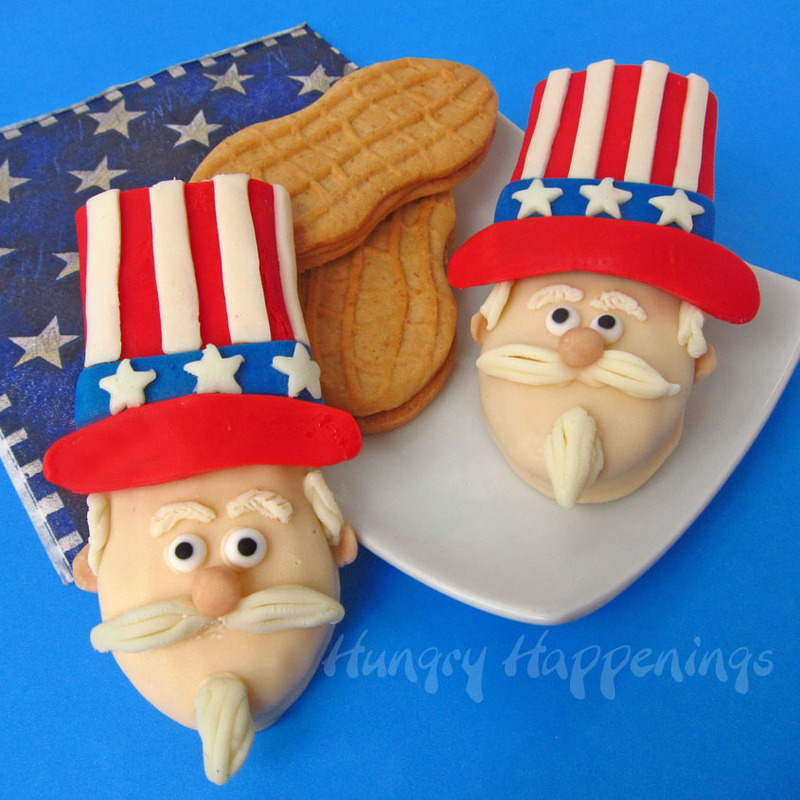 They are the ideal canvas on which to create so many edible crafts and their peanut shape was absolutely perfect for these Uncle Sam Cookies. 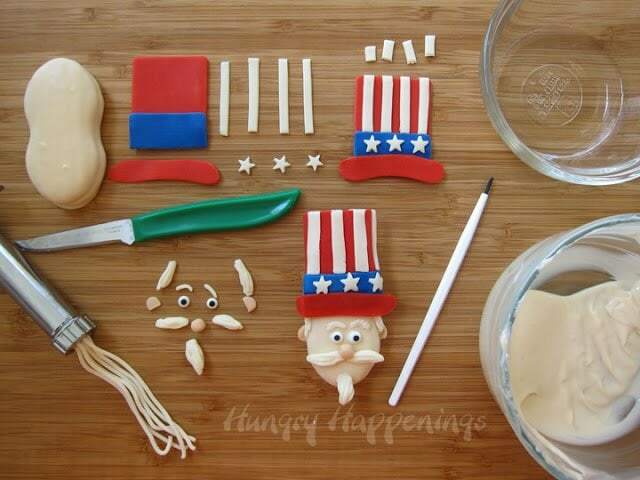 We are going to a friend’s party on July 4th and the idea to create these patriotic cookies was hers. She knows I love working with Nutter Butters and she has been the lucky recipient of many a chocolate covered peanut butter cookie treat. This friend has fun trying to help me brainstorm ideas. Some of her suggestions are a bit wacky, but then, so is she, that’s why I love her. 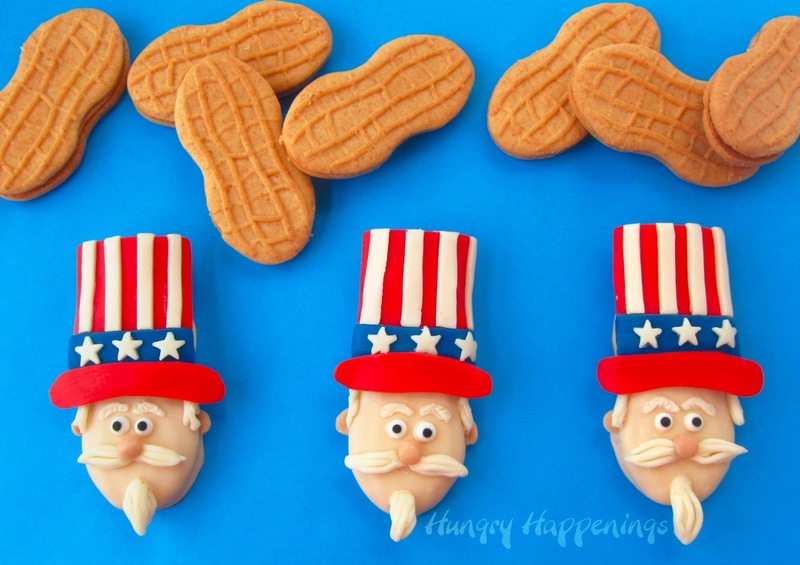 But on more than one occasion she has helped me devise a plan for making something truly great, and although I designed these Uncle Sam Nutter Butters, she gets credit for the idea! I know many of you will think these look like a lot of work, and you’d be right. But, if you work in an assembly line style, they really don’t take that long to make. 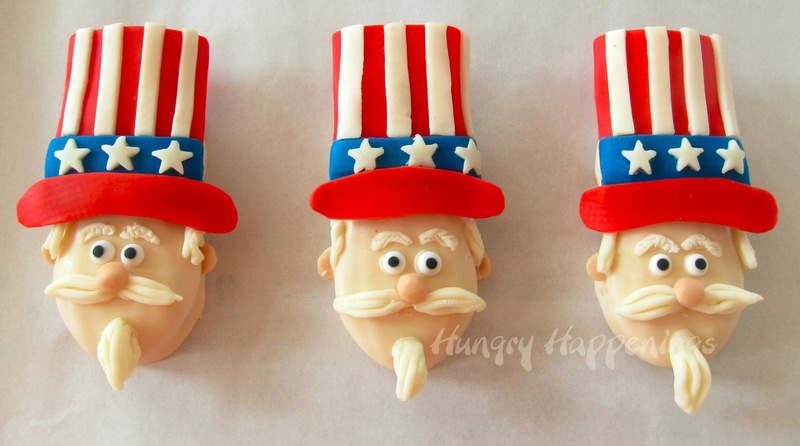 I used modeling chocolate to create Uncle Sam’s facial features and his stars and stripes hat. If you cut all the pieces out then do the assembly they come together pretty easily. If you still haven’t tried working with modeling chocolate, you really should give it a whirl. It’s soft and pliable and easy to work with, but then it hardens up enough to stay rigid. Plus, it tastes like chocolate. What could be better? 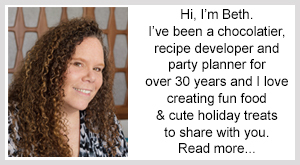 Before you begin, for detailed instructions of melting and coloring confectionery coating, making and coloring modeling chocolate, see my Chocolate Making Tips page. Melt your white confectionery coating. If you don’t have experience melting candy coating, see my Chocolate Making Tips page for instructions. 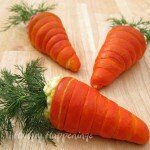 Color the candy coating with a very small amount of orange candy coloring. You want a skin color. I should have gone just a bit darker on mine. In person the skin color on Uncle Sam’s face looks great, but in pictures it’s a bit too light. Dip a your Nutter Butter Cookies in the peach candy coating. 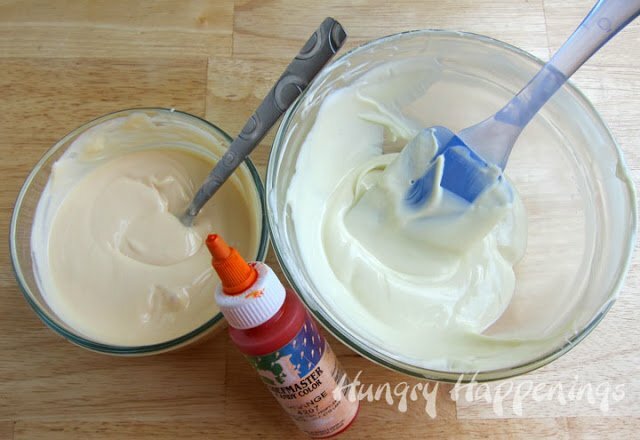 Completely cover the cookie, then lift the cookie out of the melted candy coating using a dipping fork or kitchen fork. Tap the fork on the side of the bowl a few times, allowing the excess candy coating to drip off the cookie. Set the dipped cookies on a parchment paper lined baking sheet. 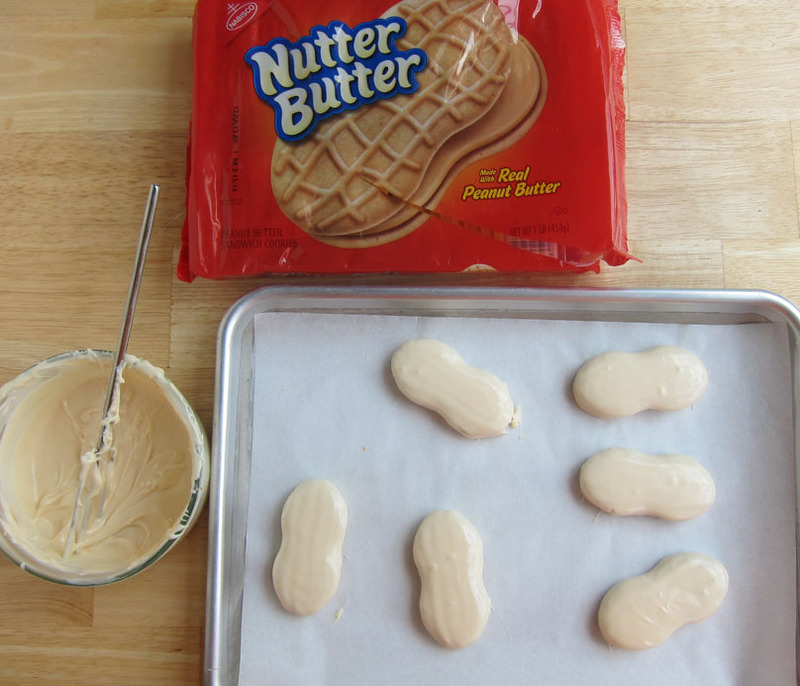 Dip about 6 cookies, then put them in the freezer for about 5 minutes. If you make an entire tray of these dipped cookies, by the time you freeze them, the first cookies you dipped with have hardened, and will develop white streaks and spots on them. Dust your cutting board lightly with powdered sugar. 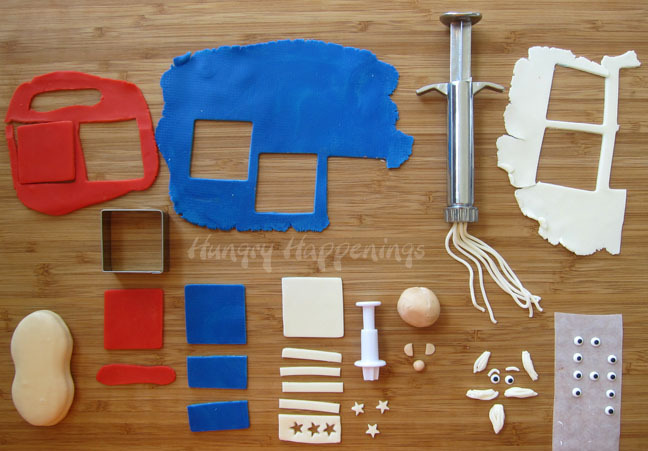 Roll out some red, white, and blue modeling chocolate to about 1/16th of an inch thickness. Cut one square of each color for the hat. Cut the blue square in half. Cut four thin stripes and 1 wide stripe out of the white square. Cut three mini stars out of the remaining piece of white. Cut a hat brim out of red. Color some modeling chocolate skin color using a small amount of orange coloring. Pinch off small pieces and roll into balls for the nose. Flatten some smaller balls into discs, then cut off one edge to become ears. Insert some white modeling chocolate into a clay extruder fitted with a multi hole plate. Press out the spaghetti like strands of modeling chocolate. Cut off 1/2 inch lengths of the strands. Pinch together both ends creating the moustache, beard, and hair. Reshape as needed. Cut off 1/4 inch pieces and create curved eyebrows. To make Uncle Sam’s hat, brush the bottom of the red square with some water. Press one piece of blue modeling chocolate so that only half of it is on the red square. This will elongate the hat into a rectangle. Brush the backsides of the white stripes with water. Press them onto the red square, creating red and white stripes. Cut off excess. Attach the min stars to the blue band using water, then attach the hat brim to the bottom edge of the blue band. Use melted confectionery coating to attach the hat to the top half of the dipped Nutter Butter Cookie. Create Uncle Sam’s face, by using the melted candy coating as glue to attach two eyes, eyebrows, a nose, the moustache and beard, ears, and hair. To make the eyebrows look fuzzy, use a knife to cut along the edges of the modeling chocolate. 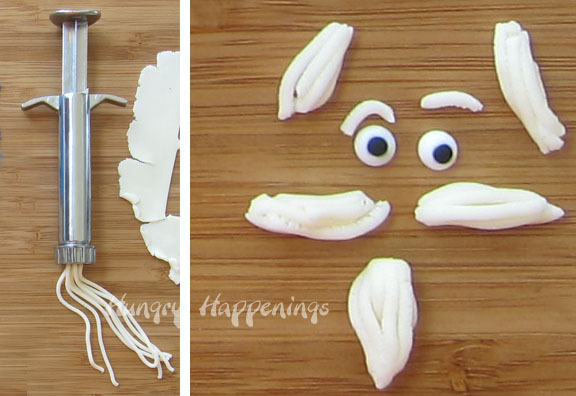 If you are making a lot of these cookies, create all the decorative pieces then assemble them all at once, adding the hats first, then adding the facial features, and lastly adding the hair and ears. 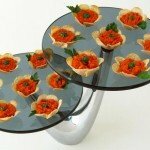 Store these in an airtight container for up to several weeks. Don’t refrigerate them, but be sure to keep them in a cool spot at your 4th of July party. as soon as I saw the pic, I knew this had to be yours! So fun!! You know I love my Nutter Butters!!! Thanks Jill. 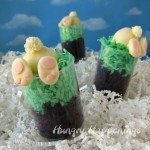 I posted these tonight instead of tomorrow, just so I could share them at your party tonight! Look at how cute they are! 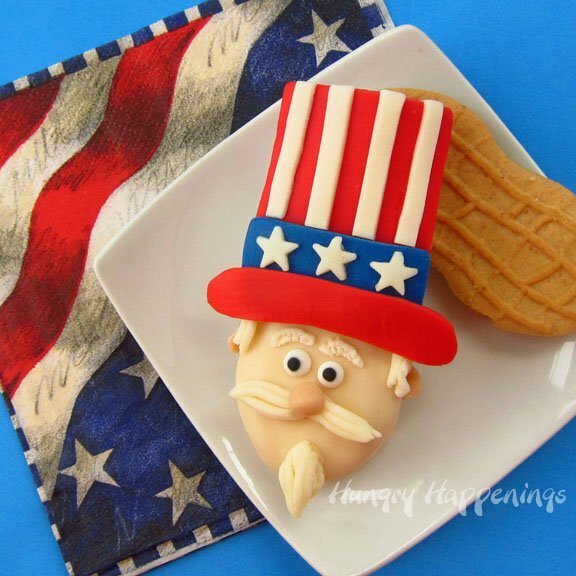 And what could be more American than a peanutbutter uncle sam cookie? Love it. I totally agree, peanut butter and Uncle Sam couldn't be more American! Thanks, Patricia. OH…… WOW! Those are seriously awesome Uncle Sams. Love 'em! Lisa, I loved your spoons. I was working on this blog post when you're e-mail came in, and I saw Uncle Sam and my first thought was "oh, that is so clever!" Using spoons was a great idea, and the shapes spoons you used were perfect of Uncle Sam. I can't believe those Uncle Sams started out as Nutter Butters! Too cute! 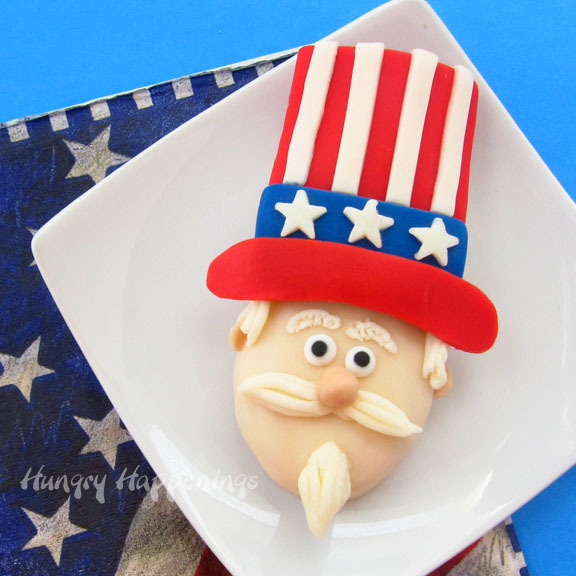 It is so hard to believe that you can create Uncle Sam out of Nutter Butters. Seriously to cute and creative! 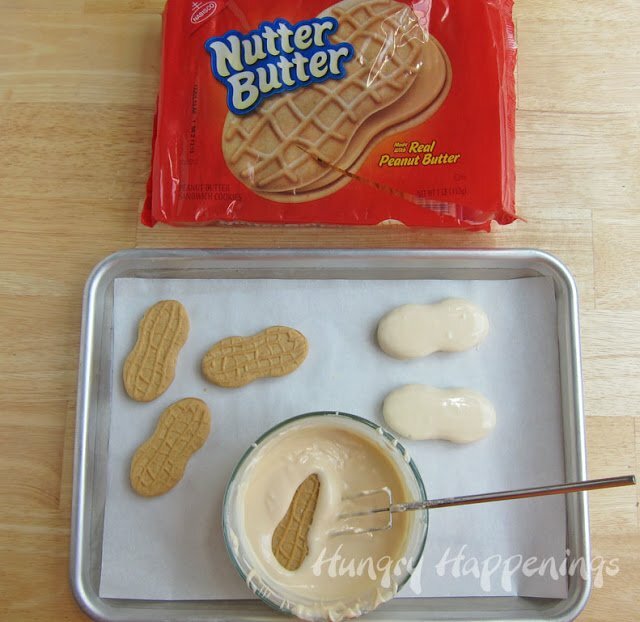 I am of the belief that almost anything can be made out of a Nutter Butter, and I'm willing to try!!!! Oh my gosh Beth! You KNOW how I love Nutter Butters and I'm going to pin this right on my board. This is so cool! Wow out of Nutter Butters! They look fabulous. Oh my goodness HOW ADORABLE!!!! Such a cute idea, you are so creative! Beautifully done!!! You are so talented! These are adorable! Oh how cute!! 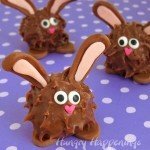 I wouldn't have the patience to make these, but they are AWESOME! Thanks, Brenda. I do love my Nutter Butters! 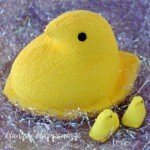 WOW – these are adorable!! 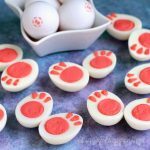 Thanks for featuring these cookies on 123Homeschool2me.com. I appreciate it! Yeah, I never liked Uncle Sam too much either. He always seemed so angry. But these guys are pretty sweet looking. I'm glad you like them! Nutter Butter needs to hire you as their spokesperson, Beth! These are incredible and done so perfectly!